are there magic cheat chords ? or is it related to temp ? 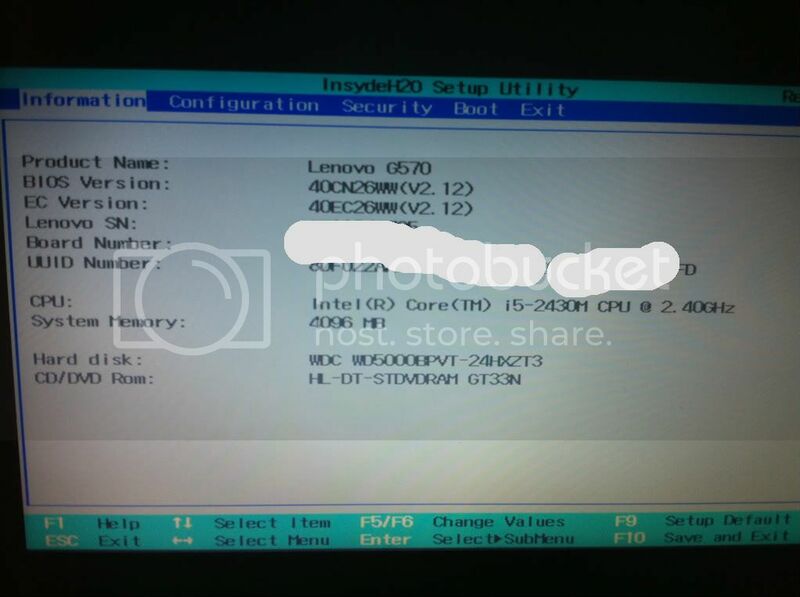 the funny thing is lenovo already has the bios updated all the way up to 2.12 or further. Its just that they're too lazy to update it. Mine came with 2.12 and I don't think I have the same fan problem as most of you guys. I also hate how limited the bios is. It basically only allow me to change the time. What use is that. I actually thought lenovo was a good company but now it just seem like its heading the same direction as HP. - Press F2 to enter to bios, when you see "entering message" you must press A.
I think in all devices with indyde bios there is this option, but letters to press are different. aznbadboixx Can you please save backup of your bios and upload so we can download and try on our boards. If you make this, it'll give a chance to try solving this problem. how to backup a bios from linux ? using dd /dev/ram ? How would I back up the bios? Lenovo? This is really a serious issue so please do something to fix it!